Face Painting by Cr3ative Faces. Cr3ative Faces is the name for the make up side of our business. This is run by Nicole who is a qualified level 3 make up artist and has been face painting for the last 4 years. Nicole specialises in Face and body painting, Special Effects make up and Henna. She can be found at Luton Town Football grounds on the home match days and she regularly attends Keech’s events and parties. Cr3ative faces face painting covers Dunstable, Luton, Houghton Regis and surrounding areas. Are you having a party and not sure what to do? Why not hire Cr3ative Faces to do face painting. Its fun entertainment and is great for all age groups. Even you the adult can get your face painted. Don’t worry if your child isn’t very keen in having their face painted, we can do a small design on their hand or arm instead. Face Painting is also great at weddings or christenings if you have lots of children coming, we tend to come when the speeches start, so the kids have something to do. Is your school having a fete, or is your company having an open day? Maybe you are opening a shop. 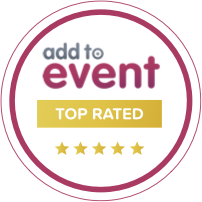 We regularly attend all of these types of events, so get in touch and check we have the availability for yours. No job is it to big or to small whether you just need 1 face painter for a small party at home or more for a big event, you can be assured that everyone will get a turn at being face painted. Face painting isn’t just for the kids, if you are off to a fancy dress party, and need to finish off the look with some face painting we do take individual bookings and would love to help you. All the face paints we use are formulated to be paraben and fragrance-free and made of premium cosmetics ingredients. For more information on what Cr3ative Faces can do for you please Contact us. Don’t forget if you having a party or a wedding we can provide the decorations too. Thank you so much for the balloons they were fantastic. Also thanks for the face painting the kids loved it, thank you so much for staying the extra time to ensure everyone for their face done. I will definitely be recommending you!!! I ordered balloons for my sons 1st birthday/naming day and they were fabulous. I had animal and coloured balloons in bunches along with standing columns with the number 1 in the top. Everyone said they looked amazing. Great service and great quality. I would highly recommend this company and I will be using them again in the future. Just to say a belated thanks for the balloons last Saturday. The party went well and the balloons really helped to set the theme off. I will be sure to recommend you to anyone looking for balloons or decorations. We were so happy with our mint green and lemon balloons for our wedding. Thank you so much. Having a sweet cart at our wedding went down very well with kids and big kids alike!! Helen was fab and we got to take home any left over! The choice was top class and everyone commented saying how lovely it was!! Helen did a great job setting up the balloons for my little girl's Christening. I had a mixture of latex and foil balloons. They lasted at least 5 days and some are still going today (7 days). The balloons not only brightened up the house but also provided a great backdrop for photos. Thank you for being so super efficient and fitting me in at such short notice. I was and am a very happy client and would highly recommend you. Superb Service. Will be using in the future and will be recommending to friends and family. Absolutely loved my wedding ballons. Helen did a fantastic job decorating the room also, very happy and would recommend to anyone. Thank you!! Thank you so much for doing my make up for Halloween Nicole I absolutely loved it. I spoke to Helen, a few months before my sons 1st party, she seemed very professional so I went ahead and booked her. Due to bad weather we were delayed and Helen got there before us, just gave a simple instruction and by the time I got there she got it all done and ready. I loved it. Everyone loved it. We had a Mickey Mouse theme and all my guest thought it was amazing. Helen you did an amazing job, I will defo be using you for all my events. Not forgetting the personalised sweet cones that you also did. thank you so so so much. Designed by Pho2u! Admin Login.